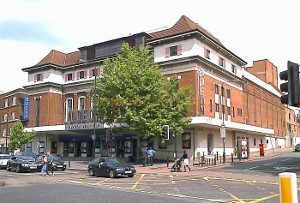 Streatham is a district in South London, situated in the London Boroughs of Lambeth and Wandsworth. In the 1950s Streatham was well known as a busy shopping area and boasted the UK’s first supermarket. In more recent years Streatham has benefited from public investment to regenerate the area. Streatham can be reached by car via the A23. Streatham has good bus links. Local railway stations include: Norbory railway station, Streatham Common railway station, Streatham Hill railway station and Streatham railway station. Lanes School of Driving has a proud history dating back to its inception 1914. In the intervening years, Lanes has taught generations to drive. Lanes has a reputation as one of the finest driving schools, backed by years of experience. At Lanes, pupils are treated as individuals with their own unique requirements. All pupils are given driving courses carefully tailored to their needs. Our intensive driving course offers pupils a fast-track to success. Theory can be learnt alongside practical lessons or taken separately. On passing their test, pupils can further their learning with after pass courses. These include: Motorway Driving, Parking Skills, Advanced Driving, and Pass Plus. Lanes understands that students have busy lives. Pupils are given great flexibility in scheduling lessons around their existing commitments. Regular weekly lessons are the best option, but single lessons are also available. Each pupil at Lanes will retain their chosen instructor throughout all their lessons to ensure that their particular sticking points are resolved. Lanes as a selection of top car models available to our pupils. As part of our service, Lanes can arrange for instructors to collect pupils from their doorstep before lessons and to return them home afterwards. Lanes have been providing driving lessons in Streatham, London for many years. Please call us today on 020 8166 5678 or click here to send us an email via the contact page. Lanes has more than 40 driving instructors in its ranks. Pupils can select the instructor that best matches their preferred style of learning. Our instructors have taught all ages from 17 to 70 and over. They all are excellent in reassuring nervous pupils. Lanes’ instructors are highly qualified. They are registered with the DSA and certified as Approved Driving Instructors. Pupils will remain with the same instructor for the whole course to ensure they make good progress. Lanes have a team of driving instructors in Streatham, London. Please call us today on 020 8166 5678 or click here to send us an email via the contact page. At Lanes we realise that first time drivers can feel anxious. Female learners can be apprehensive about being taught by a male instructor. They need not worry, as we have a team of female instructors available to our pupils. Our female instructors take a sympathetic approach to their pupils and will not subject them to harsh criticism. We find that female drivers often progress much faster in this way. Lanes have a selection of female driving instructors in Streatham, London. Please call us today on 020 8166 5678 or click here to send us an email via the contact page. Pupils will often prefer to learn in an automatic car rather than a manual drive. Experienced drivers may prefer manual cars for their greater control. However beginners can find steering a car for the first time to be sufficiently challenging without the added complications of changing gear and controlling the clutch. We often find that pupils make faster progress in automatic cars. Lanes have a selection of automatic driving instructors in Streatham, London. Please call us today on 020 8166 5678 or click here to send us an email via the contact page.